If you’re looking for professional granite countertop fabrication and installation services in the Greater Toronto Area, you have come to the right place. Granite countertops are one of the most valuable additions you can make in your home and we are here to make that process as painless as possible. We take your vision and ideas and turn them into finely crafted masterpieces. 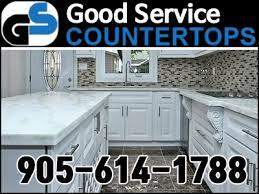 Good Service Countertops is able to offer the fastest turn around times in the industry. Template to install times as short as one week! We pride ourselves on our after sales experience. We warranty all of our work and ensure that owning your countertops remains a pleasurable experience. If anything is ever wrong, we make it right! 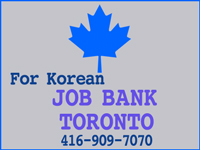 Good Service Countertops is a leading fabricator and installer of natural and engineered stone in Greater Toronto Area, Canada. Our goal is to hand over a complete project service from design, slab selection, fabrication, and installation to maintenance of your stone projects. Our business is comprised of two divisions, one serving the public and the other servicing home builders and contractors. We provide a unique combination of the latest in technology while also staffing veteran skilled Granite Craftsmen with more than 15 years of experience allowing us to serve high volume home builders and the general public while delivering a custom finished product and service beyond compare. Our friendly and experienced team will be happy to guide you through the process to get you started on your next project. Let our experts help you create a solution that suits your unique style, based on your needs and lifestyle.